The Rundown: Kele Okereke, Russell Lissack, Gordon Moakes, and Matt Tong teamed up in 2003 to form Bloc Party, a London, England Rock band. The band has released three albums: “Silent Alarm” (2005), “A Weekend in the City” (2007) and “Intimacy” (2008). 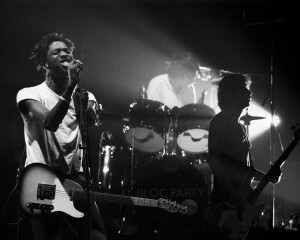 Bloc Party’s debut album, “Silent Alarm“, won Best Indie Rock Album at the 2006 PLUG Awards and was nominated for the 2005 Mercury Music Prize, the New Pantheon Music Award, the 2006 NME Awards, and the 2006 PLUG Award for Best New Music Video. 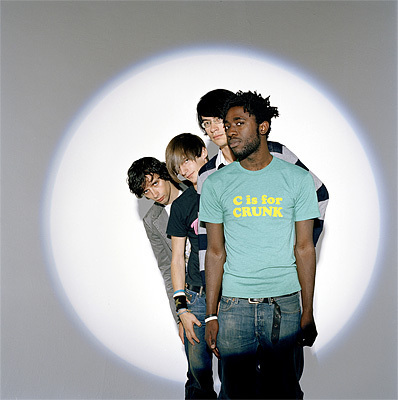 Before deciding on Bloc Party as the band’s name, the band also considered using Union, Superheroes of BMX, The Angel Range, and Diet. Bloc Party got their big break when lead singer Kele gave a tape of the band’s single, “She’ Hearing Voices” to Alex Kapranos (Franz Ferdinand) and BBC Radio 1 DJ Steve Lamacq. Lamacq was impressed with the song and gave it airplay which ended up propelling the group to release another single, “Banquet/Staying Fat“. 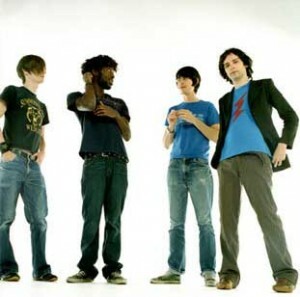 Bloc Party would then go on to sign with Wichita Recordings in 2004. Bloc Party is a good band with some very catchy songs like “Banquet“, “Hunting for Witches“, and “Two More Years“. The guitar riffs are sharp and quick, and Kele is a superb singer. MarsBands.com is proud to promote Bloc Party and highly recommends them.